Putting Amazon In The Rear View - COVFEFE: Making Coffee Great! 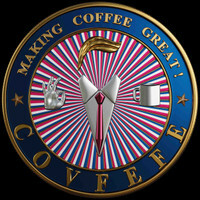 They came for COVFEFE: Making Coffee Great! Alt-media reported the COVFEFE story. Amazon balked. COVFEFE walked. Amazon had banned us for 8 days over "authenticity" claims. Amazon also made us remove over 400 lbs of COVFEFE from their warehouses, and we had to pay for it. You can find a detailed explanation of the mechanics of the Amazon ban on Big League Politics and BlazeTV. We also spoke with Kris Cruz of his BlazeTV syndicated podcast, "Chewing The Fat." Owen Shroyer of Infowars was also gracious enough for us to come into the War Room. One day after alt-media reports came to light we were personally contacted by the only American Amazon agent we have ever talked to and they begged us to continue to use their platform. We told them to go pound sand. They crossed a line and exposed themselves as the ideaological hacks they are. Is it a logical and fiscally sound idea to expend resources in an entity that could cut you off at the knees? Not to mention, they permanently banned our COVFEFE from using their advertising platform as well. In hindsight it is a short-term loss but a long-term win. Having access to a marketplace that has millions of users is a strong asset, but if you have been following us its not always sunshine and rainbows. Amazon has major problems, we've experienced it and thousands of it's 3rd party sellers have to - perhaps not to the same degree as we have but Amazon is rank with issues. The long-term win is that we have full control over our operations. With Amazon, you are subject to their inane policies, third world employees, and ideologies in their moderation teams. You also lose control of where you product is stored, and often find your product damaged in one of their warehouses. The one thing we no longer have to be doing is splitting profits with Amazon. The driving force behind COVFEFE is to illuminate the insanity of funding your political/cultural opponents. It's bad enough your tax dollars fund a majority of leftist organizations but to also voluntarily fund them is a failing strategy for non-leftists.